This year is the 83rd anniversary of a school that infused New York City with imagination unheard of, and brought life to its people. It’s still going strong. New Yorkers needed inspiration. That bullies could be conquered. That the lazy and selfish could be brought to light. That corrupt institutions could be taken to task. That the little guy could get a break. The city needed a hero. It wasn’t accomplished with super powers. It was with spirit, a truck load of gumption, and a deep love of beauty. And that made it all the more spectacular. Fiorello La Guardia, New York City’s ninety-ninth mayor, took office January 1st, 1934. It was a time where the long ache of the Depression had taken root and the ending of Prohibition began. It was a time where corruption was felt in every arena. Then, when everyone least suspected it, the 5’2” Italian-Jewish cyclone that was Fiorello La Guardia hit the scene. Fiorello – the little flower – is noted as saying that he wanted to give New Yorkers a government with a soul. One that reminded us all of heaven. He wanted to make the city happy, beyond just safe and content. Happy. He focused on health care, playgrounds, getting the city’s credit back up to par, and stamping out corruption that had gained a mighty foothold during Prohibition. Fiorello displayed brazen contempt for corruption, even using his own sledge hammer to bust up thousands of slot machines peppered throughout the city’s delis run by gang bosses. It was a total publicity stunt, but boy did it have pizzazz. In his own role as the three-time mayor, Fiorello saw himself as the city’s sculptor. He understood art’s capacity to enlarge the mind, to ingrain a sense of pride and joy, and that it would be a key component to make the city thrive. As part of a rigorous plan, this year marks the 83rd anniversary that his dream came true. He dedicated the first publicly funded high school where students could major in music and visual arts: The High School of Music & Art. “I believe this to be one of the best contributions that I will be able to make… as long as I am mayor of New York City,” he declared that momentous day in 1936. 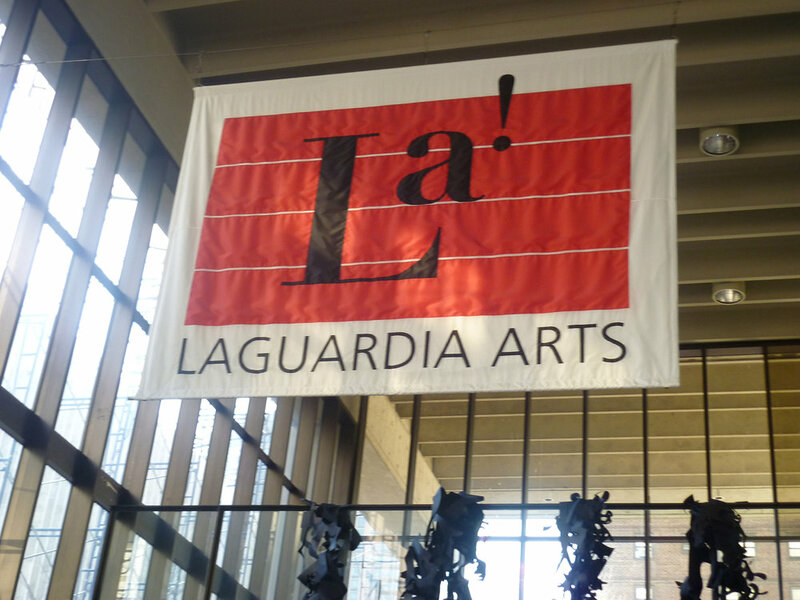 Now named the Fiorello H. La Guardia High School of Music & Art and Performing Arts (the school highlighted in Fame, the movie and TV series), it still embodies the hopes and dreams of Fiorello La Guardia. This spirit of beauty out of adversity is at the heart of The Art Deco Mystery Series. So this series that launched in September 2017 with Kensington Publishing Corporation that features Fiorello La Guardia, is dedicated to you, La Guardia High School. I hope that every student, every teacher, every administrator will always feel the stirring spirit with which their school began in the midst of a dark time. That whether you graduated decades ago, or are a freshman this year, you will pour into the world and take part in making your own communities --wherever you land-- a place of beauty for all to enjoy. Creating happiness no matter what the world throws at you. And like Fiorello so deeply desired, making our world just a little bit more like heaven. *Book one, The Silver Gun released in fall of 2017. Book two, The Gold Pawn, released in 2018 and is nominated for the Agatha Award for Best Historical Novel. Book three, The Pearl Dagger, releases August, 2019.